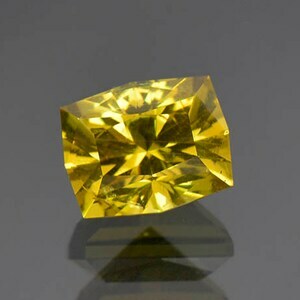 There are a few great localities in the world for gem grade Sphalerite; Spain, Colorado and Bulgaria. 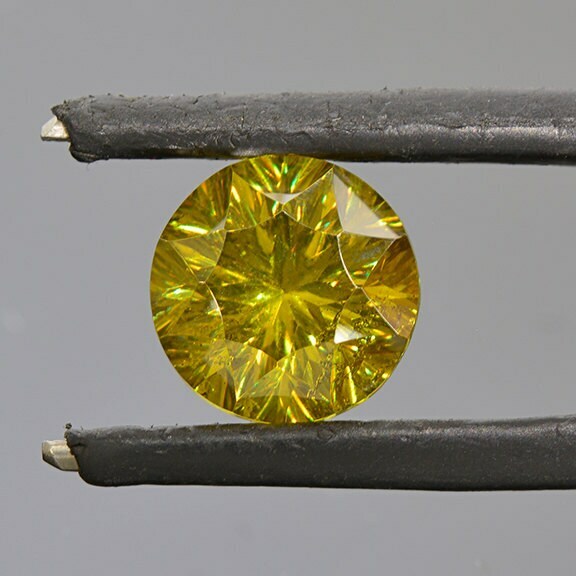 Bulgaria produces some of the finest green color Sphalerite on the plant. 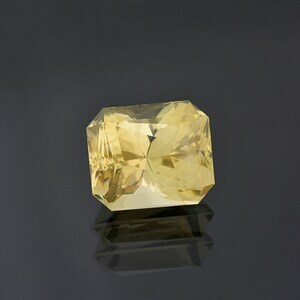 Sphalerite is one of the more difficult gems to facet well, but to have such a bright polish and sharp facets is practically exceptional. 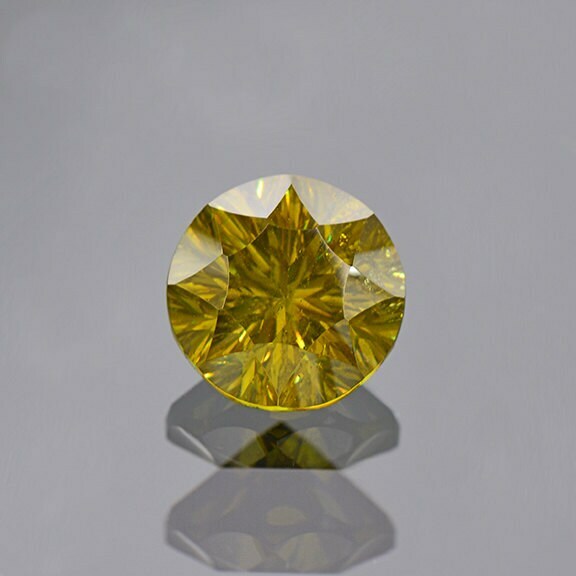 The clarity of this gem is great for Sphalerite, which tends to be riddled with inclusions. 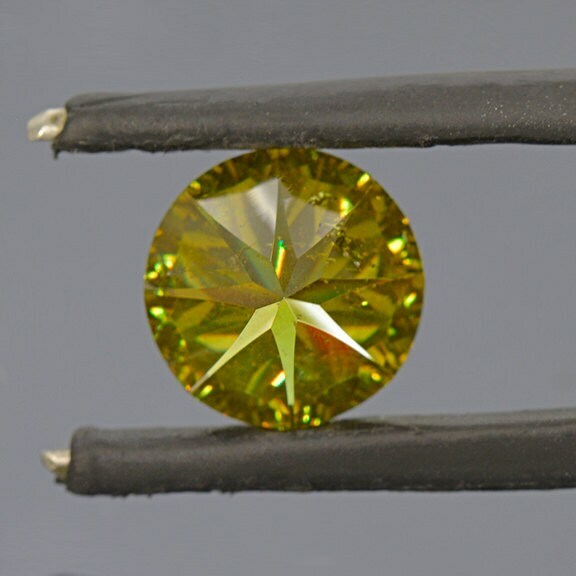 The color is a pretty green/yellow and there is some nice multi-color dispersion flash when the stone is moved in the hand. 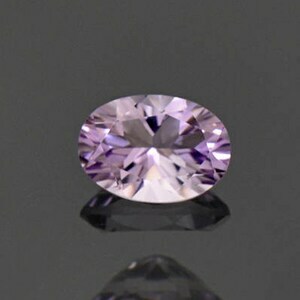 The stone is concave cut with cylindrical burs instead of traditional flat faceting. 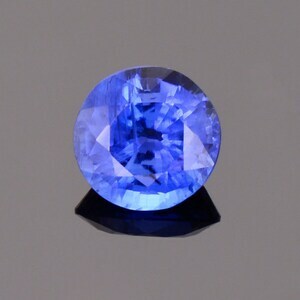 Just a gorgeous little firecracker and stunning in person!